It's expected that Sony and Microsoft will announce a new generation of consoles this year. That, of course, means that conversations about those successor consoles will dominate discussion in the media and gaming circles. On the one hand, the idea of hardware is viscerally exciting; a shiny new box for under the television, and all the new games that that entails. Sony and Microsoft will be certainly excited to get new hardware out there, too. New hardware means new revenue streams, and with this generation of consoles now edging into the "late majority" part of the diffusion of innovations bell curve, Sony and Microsoft certainly have the incentive (via their respective shareholders) to come up with new stuff to sell. On the other hand, I'd argue that we don't really need new consoles at all. I'm not sure the benefits are there either for game developers or consumers. Historically, what has driven the upgrade cycle with game consoles has been very simple; as technology has improved, platform holders have been able to provide consoles that offer a sufficiently enhanced experience to people who buy them. The Super Nintendo gave people graphics and worlds that people playing games on the NES could only dream about. The PlayStation and Nintendo 64 made 3D worlds standard. The PlayStation 3 and Xbox 360 made online features standard, and so on and so forth. Every new generation of console has offered something that the previous generation has not. But that raises the question - just what can a next generation console offer that is above and beyond what the existing consoles can? When we've got blockbuster game developers animating horse testicles for games on existing consoles, for no reason other than to "add realism" to the game, then we are clearly at a point where developers clearly are no longer being inhibited by the platform in realising their vision. Another generation of consoles might make some things in development a little easier, perhaps, but will we see any new kinds of games introduced? That's unlikely. The gameplay innovation is coming from the indie spaces these days, and as we'll get to - indies really don't need a new generation of hardware. Video games have already expanded in scope to the largest scale that is practically realistic. Open worlds and story-driven RPGs are mammoth to the point that, any larger and the bloat will become tiring. The other popular big money games - games-as-a-service and esports titles - are already effectively endless. Were any of these genres to get larger in scope, they would become unwieldy, and exponentially more expensive to produce, with little real value back to the consumer. No one's complaining about the size and length of games like Red Dead Redemption, Spider-Man, or God of War, or the amount of content in something like Fortnite or PUBG. If anything, many people are pushing for smaller, more focused games again. Games that can be completed in a reasonable time frame. Which brings us back to the horse balls. Because there's no point in expanding the scope of games beyond where they're at now, and little (rational) appetite among consumers for these big games to get any bigger, developers are instead focusing on the small details; looking to differentiate their work from anything else out there by having more tiny details to notice and take amusing screenshots of. While that's fine for developers that can afford $100 million dollar development budgets, there's also a shrinking return on investment there; people will notice those details less and less readily until we get to the point where, while new generation of consoles might allow more details, they don't have the same sense of spectacle for the audience. This is especially true of indie and mid-tier developers and publishers, who are producing games that aren't even close to using all the power of the existing generation of consoles. These kinds of developers have always been driven by their ideas rather than the hardware-pushing tech behind them, and I don't know of a single indie developer that would suggest that the canvas that the current generation of consoles provides them is insufficient for them to build their idea. In other words, the incentive for indie developers to jump over to the next generation of consoles won't be there at all, because the user bases won't be there, and because there's nothing that they'll be able to do with those consoles that they can't already do with the existing ones. At the same time, the nature of a new console release means that the audience starts to fragment, as people either sell, trade in, or pack away their previous generation of console for the new one. So, unless the indie makes the jump to the small userbase of the new console, they're going to be facing a declining (and increasingly disinterested) audience on this generation's consoles. Either way, a new console generation coming in poses a risk to the profitability and sustainability of smaller developers. Once again, there's nothing that this new generation of consoles will offer the indie or mid-tier developer that they can't already achieve on the existing hardware. The only developers that will have the resources to actually capitalise on the next generation of consoles will be the very largest ones, which indicates that the boost of these consoles has nothing to do with artistry, but rather product. Don't think that this hit to the developer isn't going to impact on the players, either. Cost of game development will lift further with the new generation of consoles, and developers will be selling to smaller install bases. The drive for profitability (and, yes, game developers do need to be profitable) will likely result in a greater cost of ownership for games, be that higher up-front prices, or the developers and publishers will try and claw it back through increasingly aggressive DLC and microtransaction monetisation. There's an environmental cost to consider with these console upgrades, too. All the plastics and metals that go into the manufacture of them isn't manufactured out of thin air, and while a console can a good shelf life in the home, they're increasingly designed to be replaced quite quickly, what with "mid-cycle" upgrades and the like. Video games are an art form that I care deeply about, so just as I fully support the use of Earth's resources (in a sustainable manner) for the production of other art forms, such as books, films, music, and so on, I so too support the idea of manufacturing consoles for the purposes of furthering the artistry of game making. But working on the premise that the current generation of consoles already provides developers an effectively unrestricted canvas to work on, the environmental cost of a new generation of consoles starts to look more like wasteful capitalism. 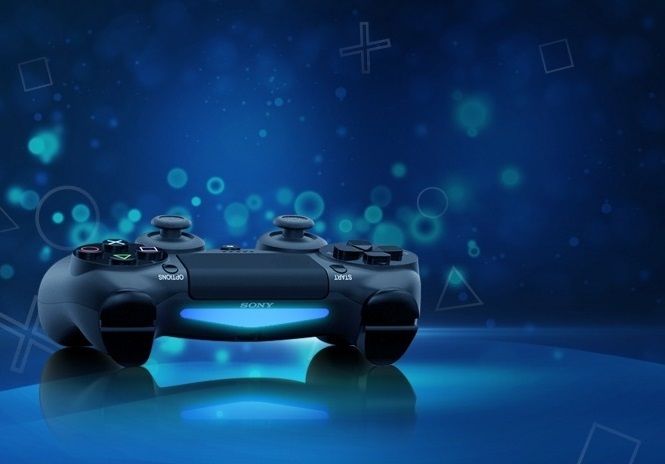 It'll pad out Sony and Microsoft's financial reports, but it will also involve replacing perfectly fine consoles, well capable of delighting players with games for many years into the future, with the arbitrary need to upgrade - and you just know that Sony and Microsoft will be doing everything they can to stroke that FOMO, too. Even the most committed video game fan has enough stuff in their backlog on their PlayStation 4 and Xbox One... and yet they're going to feel a desperate need to "upgrade" thanks to Sony/Microsoft marketing. Sony and Microsoft's next generations of consoles will provide a power upgrade, but I think in that context the rapid success of the less-powerful Nintendo Switch is telling. It's telling because we've hit a point where "power upgrades" are unnecessary for being able to realise creative ideas through video games. This isn't like the days of the NES and SNES, where developers had minimal capacity to build 3D worlds, and it's not like the upgrade from PlayStation 2 to PlayStation 3, where large open worlds weren't an obscene investment in development that only the likes of Rockstar could afford. Now, consoles are creatively "open", and the real competition in the industry is in the artistry and creativity of these games, not the raw power being pushed. As such I'm less excited for the potential of what might come with the next generation of hardware than I have been in the past.